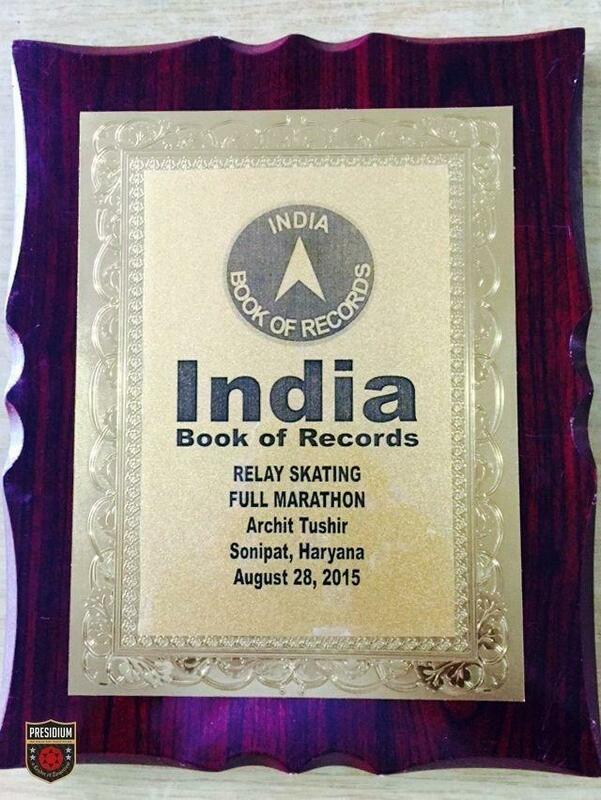 Our little sports star Archit Tushir of Grade III, Presidium Ashok Vihar made us proud by getting his name in India Book of Records. 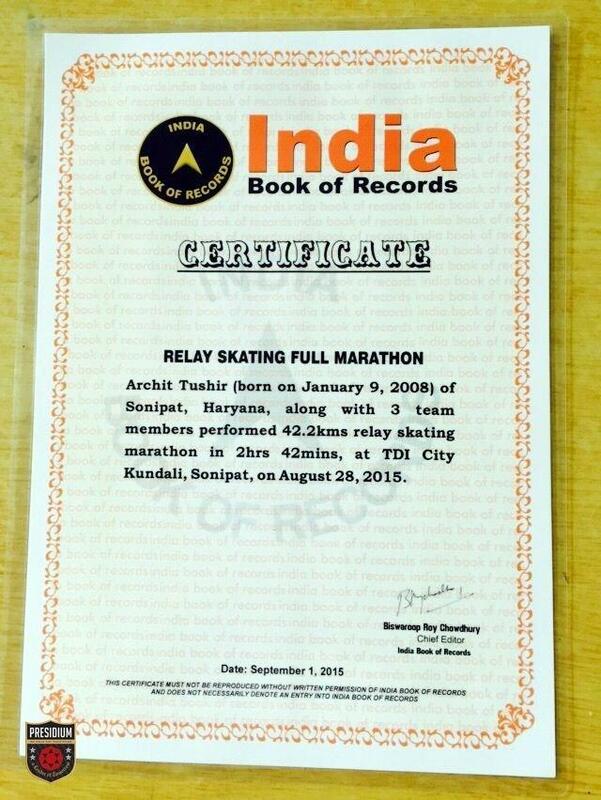 He, along with his teammates, completed 42 km relay race in 2 hours 45 minutes in 1st Relay Skating Marathon Championship, which was held in Sonipat. Archit’s and his teammates’ hard work and dedication have enabled them to achieve this feat. 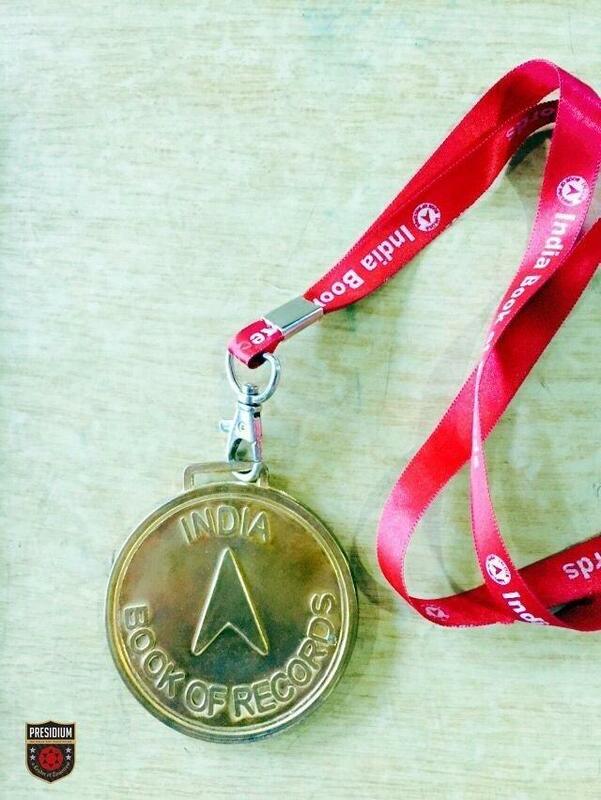 Congratulations for your accomplishment. Well done!